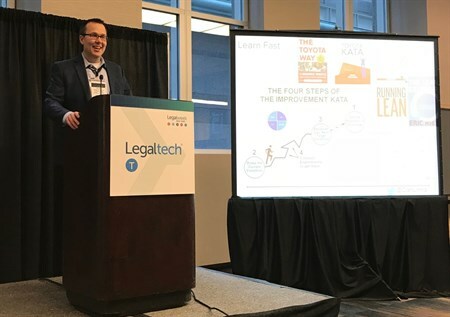 The last session we attended at this year’s LegalWeek was a good wrap-up of the event, when Daniel Linna, director of The Center for Legal Services Innovation at Michigan State University College of Law, told us about The Legal Services Innovation Index. This is a way to track and measure innovation and technology adoption and technology application in law firms and law schools. Is there any innovation going on and what, or is it more talk than action? In his keynote address to the 2016 CodeX FutureLaw conference, James Sandman, president of the Legal Services Corporation, suggested that one way to accelerate technology adoption in the legal industry would be to assess and rank law firms based on their use of technology. 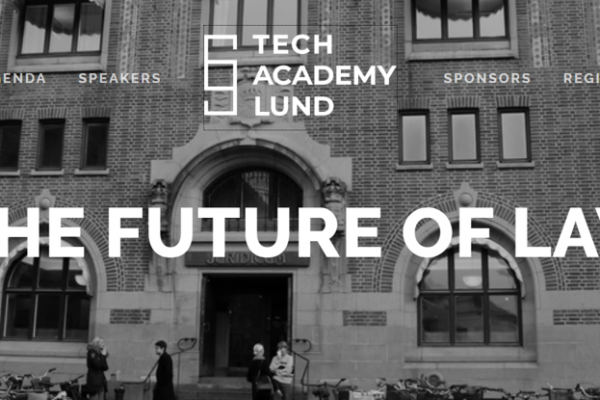 A year later, when Sandman repeated that suggestion at FutureLaw 2017, Daniel Linna realized that no one had taken Sandman up on his suggestion and decided to tackle the project himself by creating the Legal Services Innovation Index. One of the project’s two major components is the catalog of law firm innovations. The purpose of this is to catalog concrete examples of law firms offering products, legal services, or consulting services that constitute improvements in legal-service delivery or foster legal-service delivery innovations. Some interesting facts from the index is that, when it comes to innovation by jurisdiction, UK seems to be ahead of US, and that the areas of legal service with most ongoing innovation initiatives are compliance and due diligence/transactions. It’s also interesting to see that there is a lot of innovation projects concerning the use of Artificial Intelligence. The biggest question, kind of a main theme for this year’s LegalWeek has been whether AI is merely a hype or something real. The Index clearly shows that AI is something real and something that is being implemented in law firms right now. As many speakers at LegalWeek (for example Andrew Arruda, ROSS Intelligence, see our first report) has pointed out, even though AI in itself is nothing new, what’s new is the amount of compute power and amount of data available to a low cost as well a the low transportation costs. The algorithms that has existed since the 1960s can now be implemented in a way that will bring value to business propositions. So, a conclusion of LegalWeek 2018 could be that “yes, AI is here and it’s real and it will have a major impact on legal service, but exactly how big and how we are just starting to learn”.